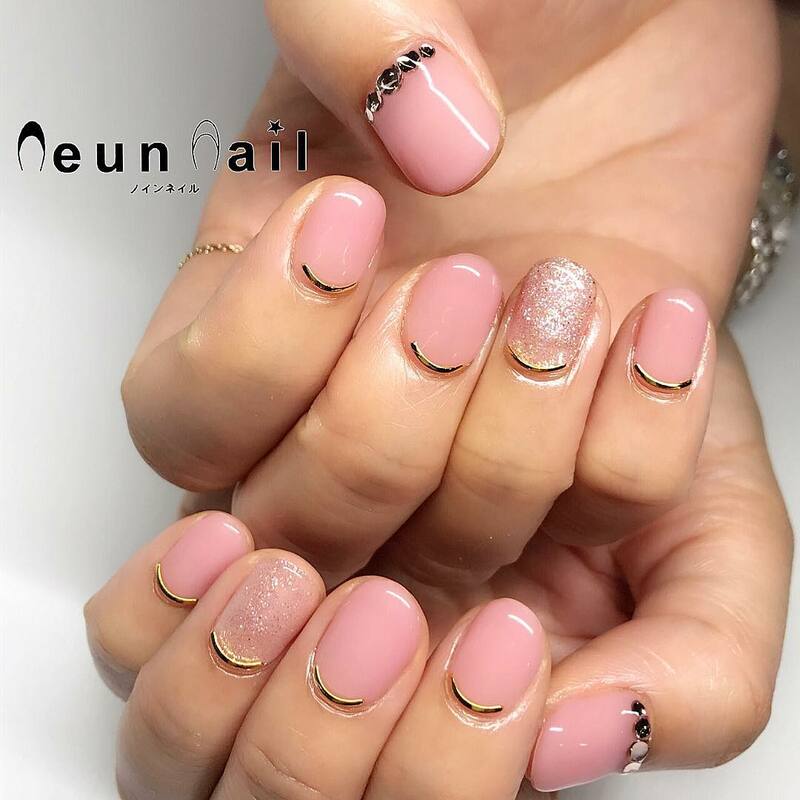 Longer nails may appear to have the upper hand at first glance when it comes to cool designs, but those of us with shorter nails are certainly not without choices. And if biting is what keeps you calm in this mad, mad world, we totally sympathize — but just know that there’s no need to forgo a cool nail design for your sanity. 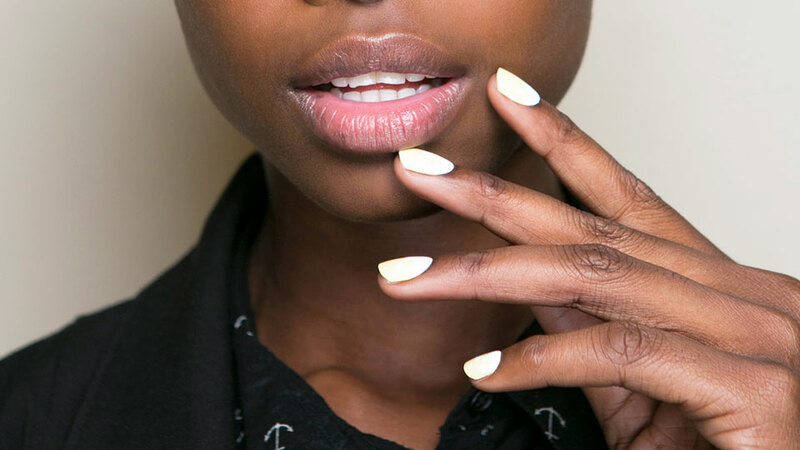 Celebrity manicurist Gina Edwards shared a few tips on how to get your best tips and curb the chew. 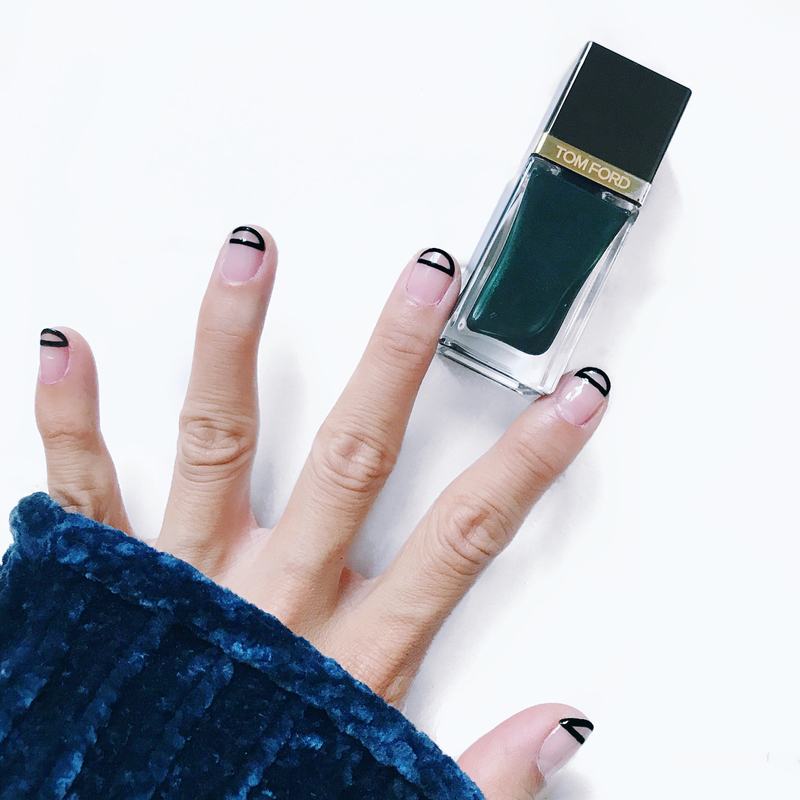 When you’re done checking out her tips, click through the slideshow for even more gorgeous short-nail inspiration. This is particularly true if you’re a biter. “You want a color to distract you from biting your nails. Generally, warm tones are not as effective in doing that,” says Edwards, who recommends trying bright pinks or orange. 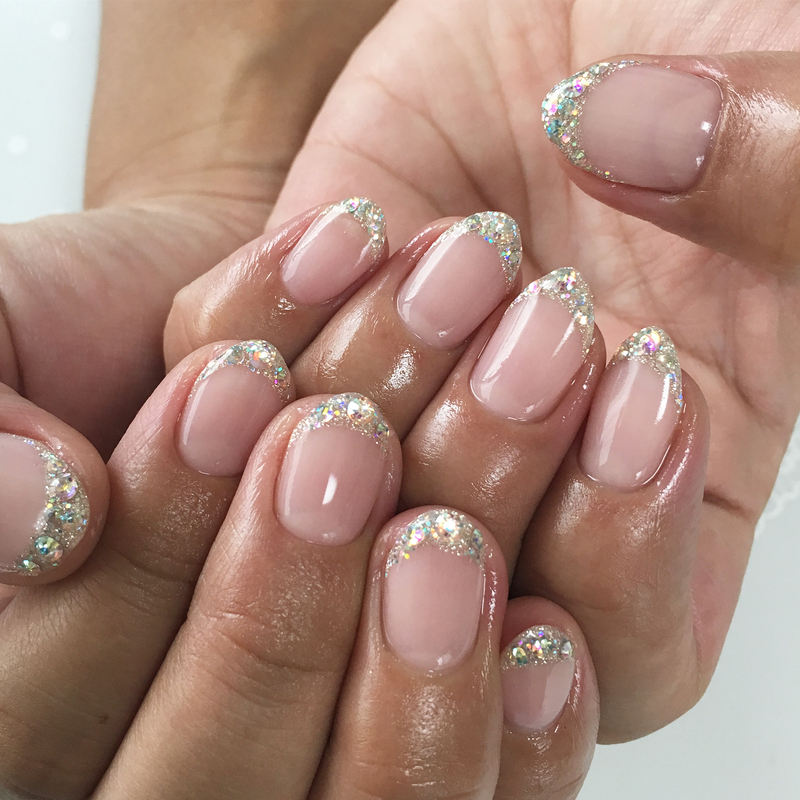 If you don’t want to deal with trying to find a design that works on your natural nail length, Edwards also suggests opting for shorter press-on nails. It may also help keep your hands away from your mouth if you’re tempted to bite. ID what’s making you bite and work on a solution to quit. Applying tea tree oil to your nails may work for you as a biting deterrent and can heal the skin around your nails, making for an even, cleaner-looking manicure. 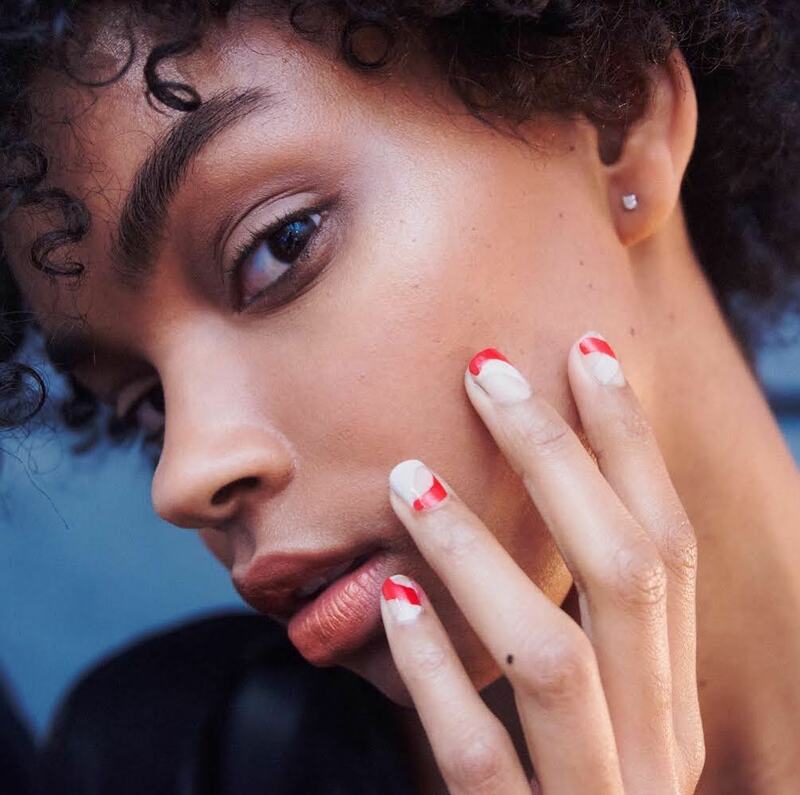 Now that the foundation is set, jump into some nail inspo with 16 designs that were pretty much invented with shorter tips in mind. Keeping nail art to a minimum, like this single shooting star, may be best if you don’t want to draw too much attention to your nibbled tips. You can’t go wrong with short and simple. 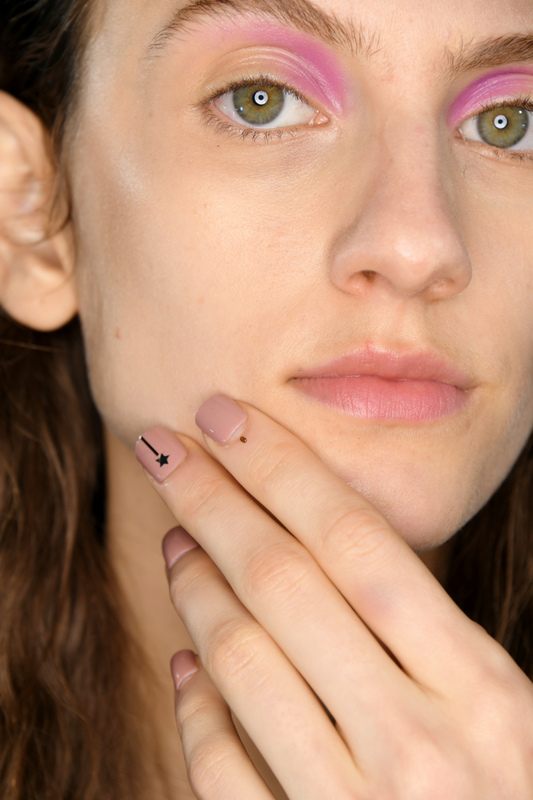 A single dot at the base of each nail and a vertical accent line will visually lengthen shorter tips. Tiny bouquets work well on pretty much any length nail and can camouflage bitten tips. If your tips are trashed, try redrawing them with polish. 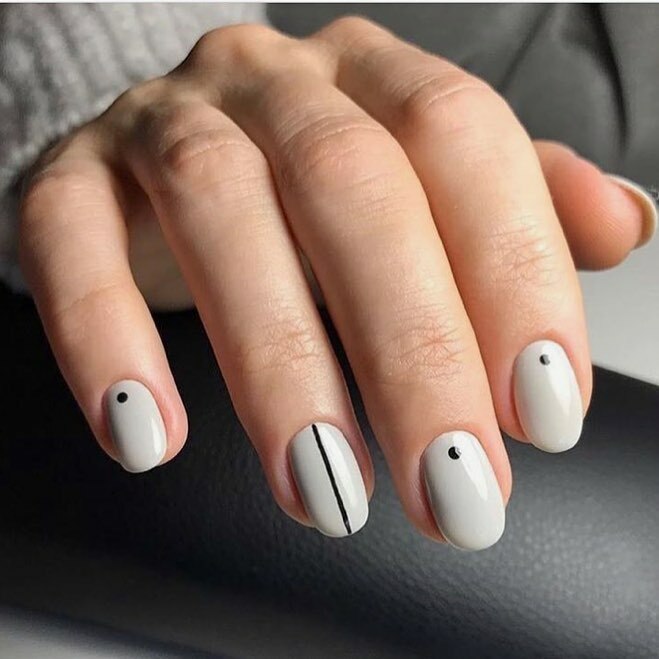 If your nail tips aren’t in decent shape for a design, add the art at the cuticle line. Hide uneven edges with a dark navy painted just at the tips. 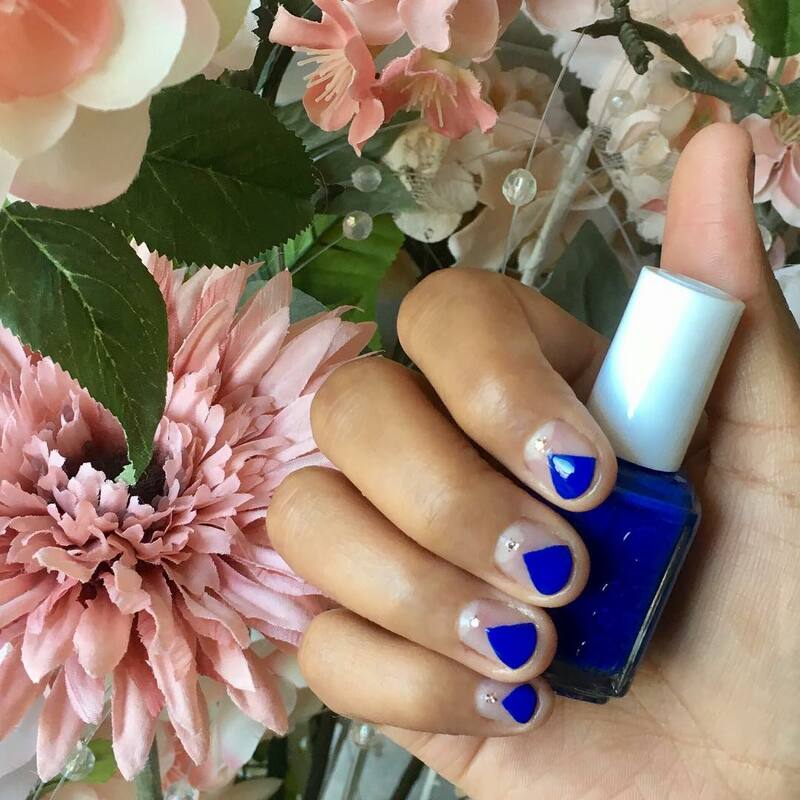 If some nails are a little shorter than others, use the same colors to create a different design on each finger like this mural nail look. A chunky glitter stripe is an easy fix for uneven edges. 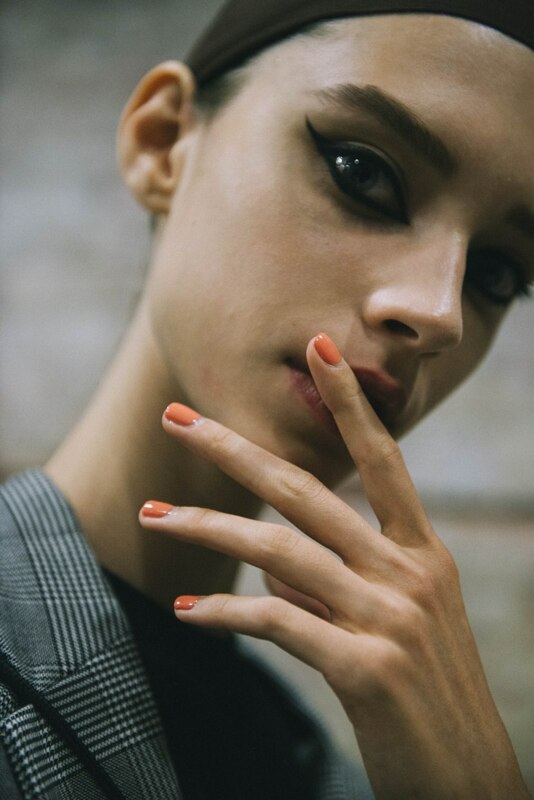 Edwards suggests sticking with a bright orange polish as a distraction from biting. A teardrop shape works well on short, rounded edges. Seriously, who’d want to chew their way through this fun French? A shiny edge is almost like an optical illusion that can make shorter tips appear longer. 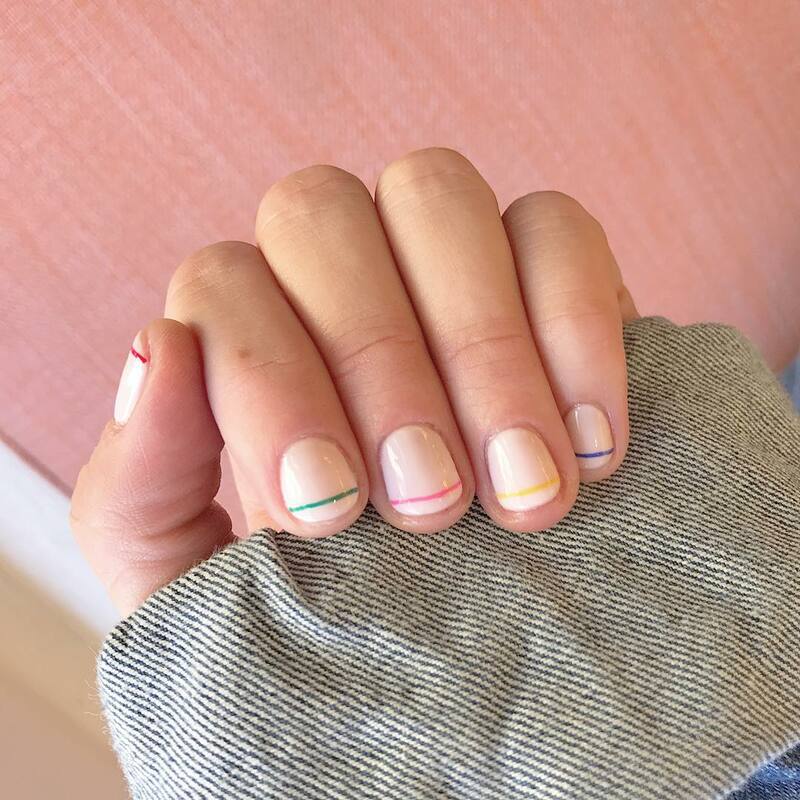 A French mani is ideal for shorter tips, but even better is an updated version with multiple stripes. Lengthen the nail, at least visually, by taking the art down onto the fingers. Bright pink is another color Edwards suggests to help curb the urge to bite. 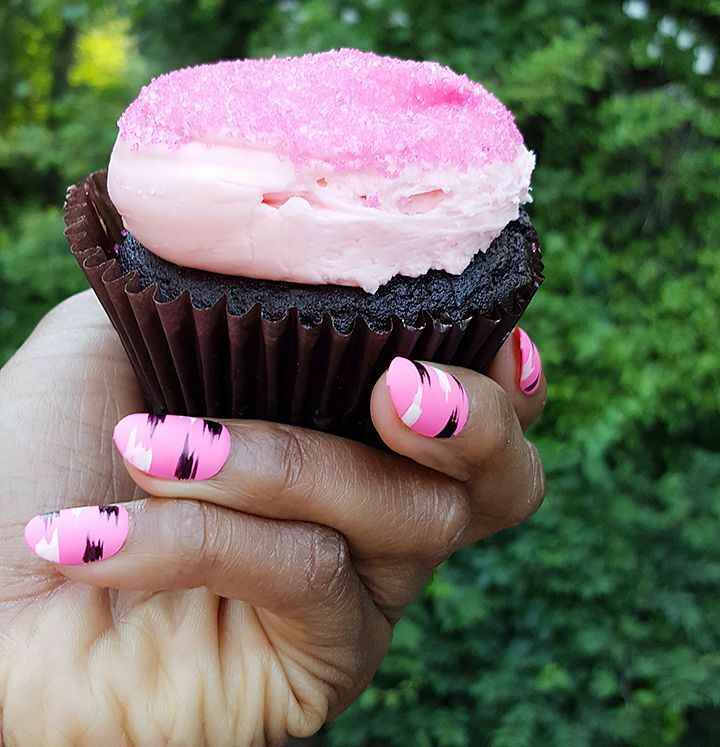 Prepainted press-ons may help you resist the urge to bite and will give you some fun nail art options to play with.